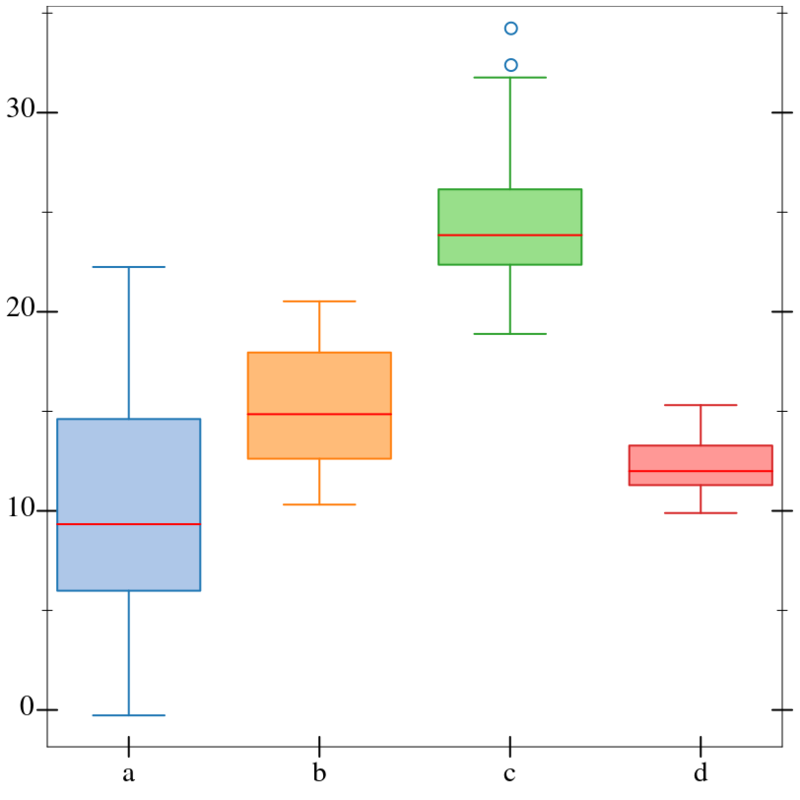 Required (and possibly optional) arguments representing the graph to plot. Optional keyword arguments for overriding calculated bounds, with the default value #f.
Optional keyword arguments that determine the appearance of the plot. The optional keyword argument #:label, which specifies the name of the renderer in the legend. See 2D Renderer Function Arguments for a detailed example. 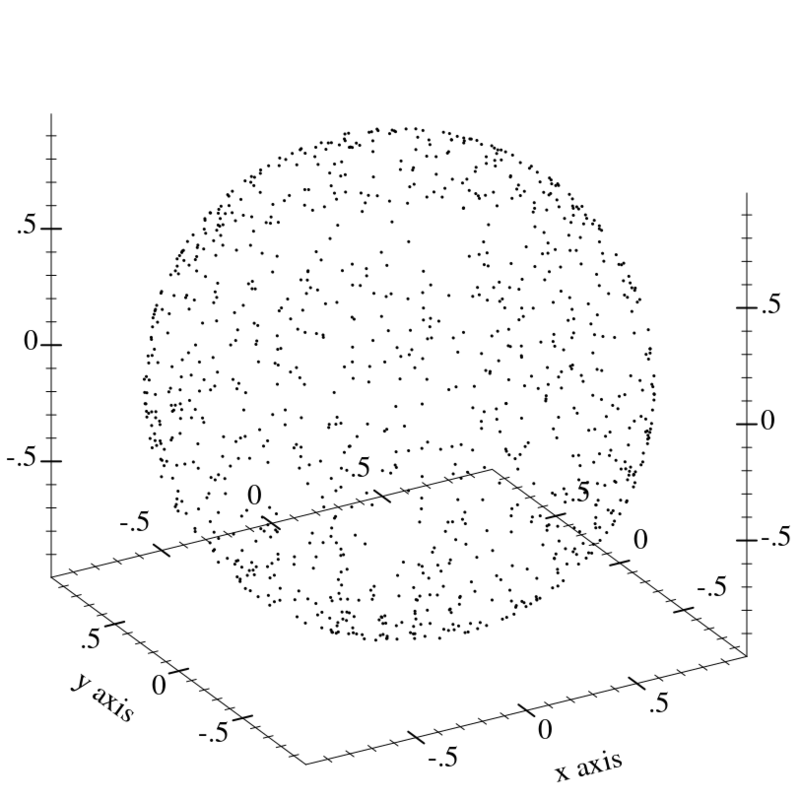 Returns a renderer that draws points in 3D space. 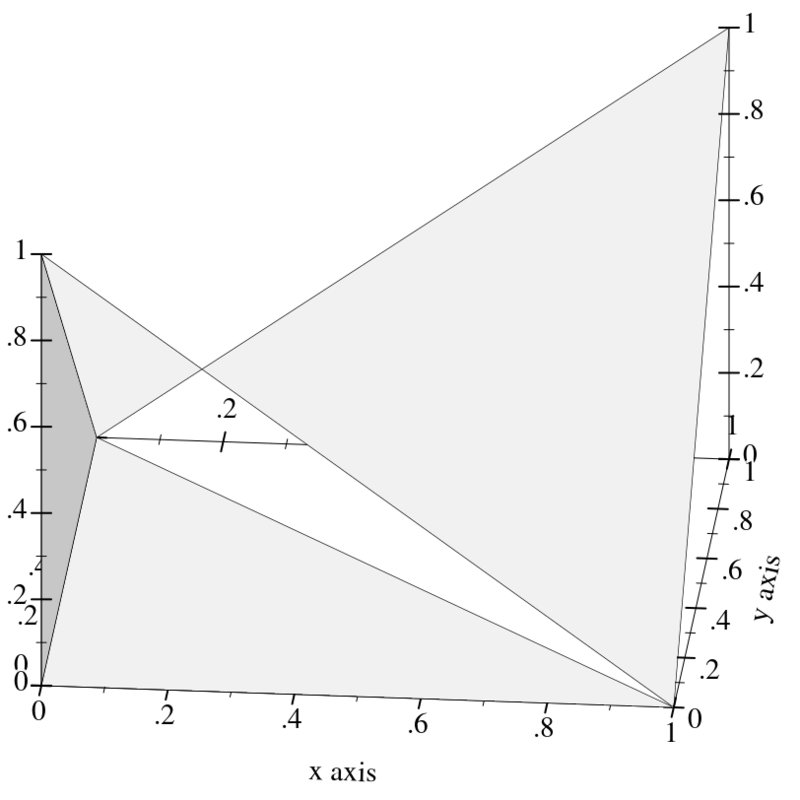 When x-jitter, y-jitter, or z-jitter is non-zero, each point p is translated along the matching axis by a random distance no greater than the given value. 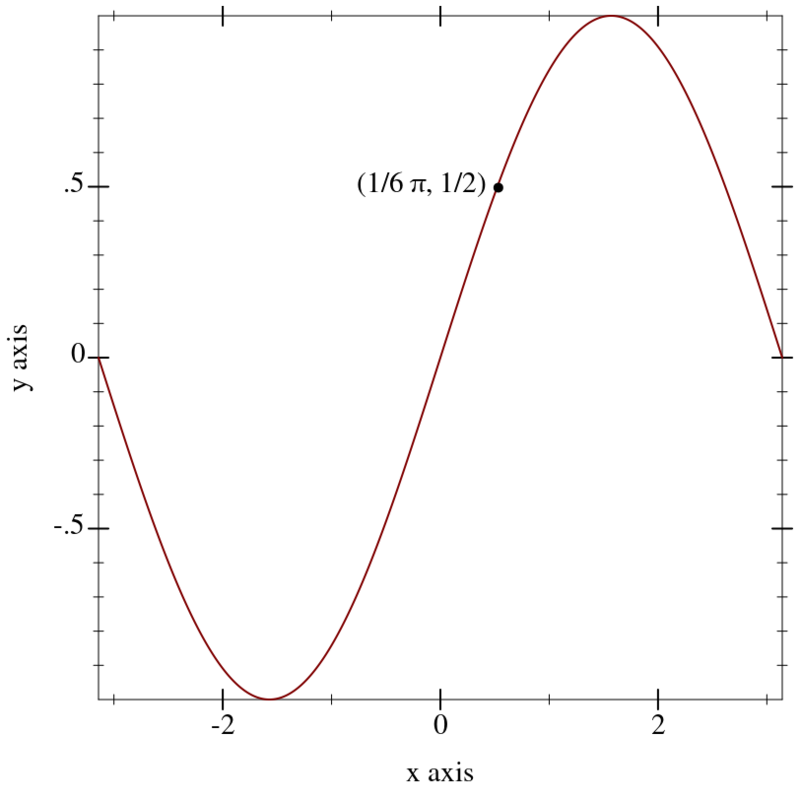 Jitter may be applied in either the positive or negative direction, so total spread along e.g. 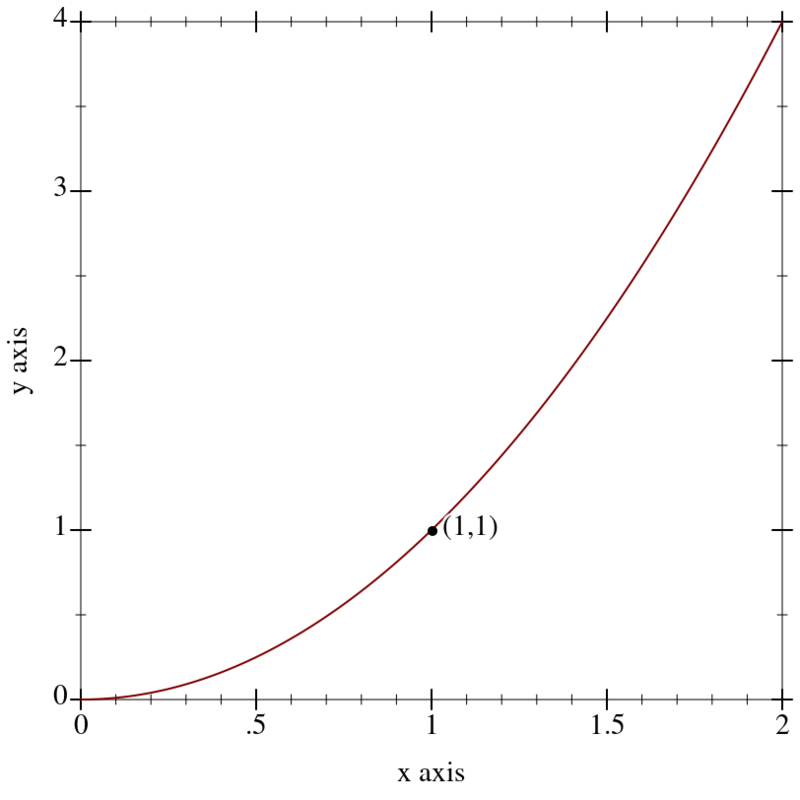 the x-axis is twice x-jitter. Note that adding random noise to data, via jittering or otherwise, is usually a bad idea. See the documentation for points for examples where jittering may be appropriate. 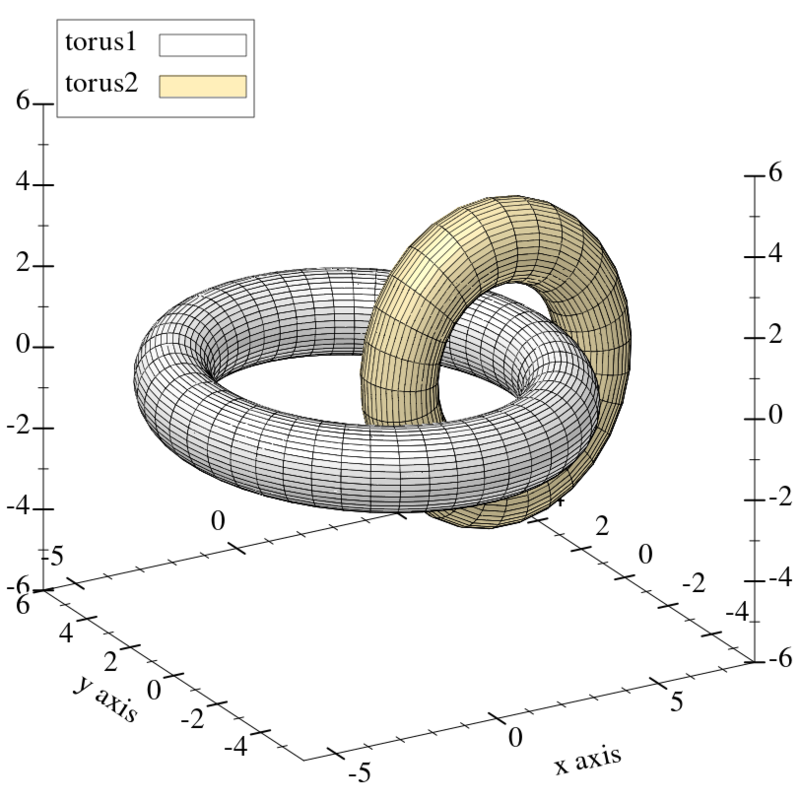 Returns a renderer that draws a vector field in 3D space. 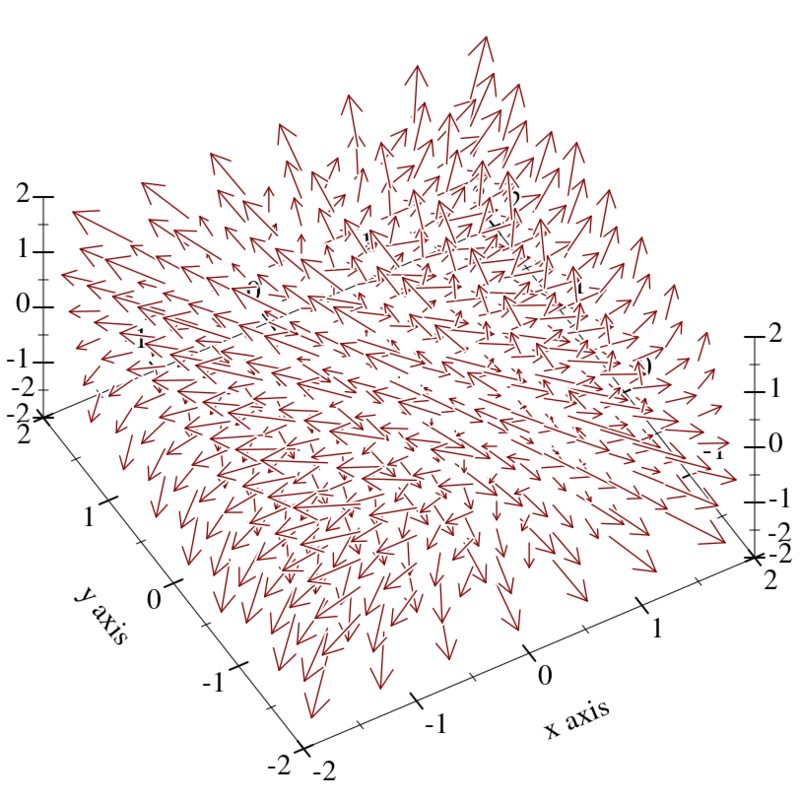 The arguments are interpreted identically to the corresponding arguments to vector-field. Returns a renderer that draws connected lines. 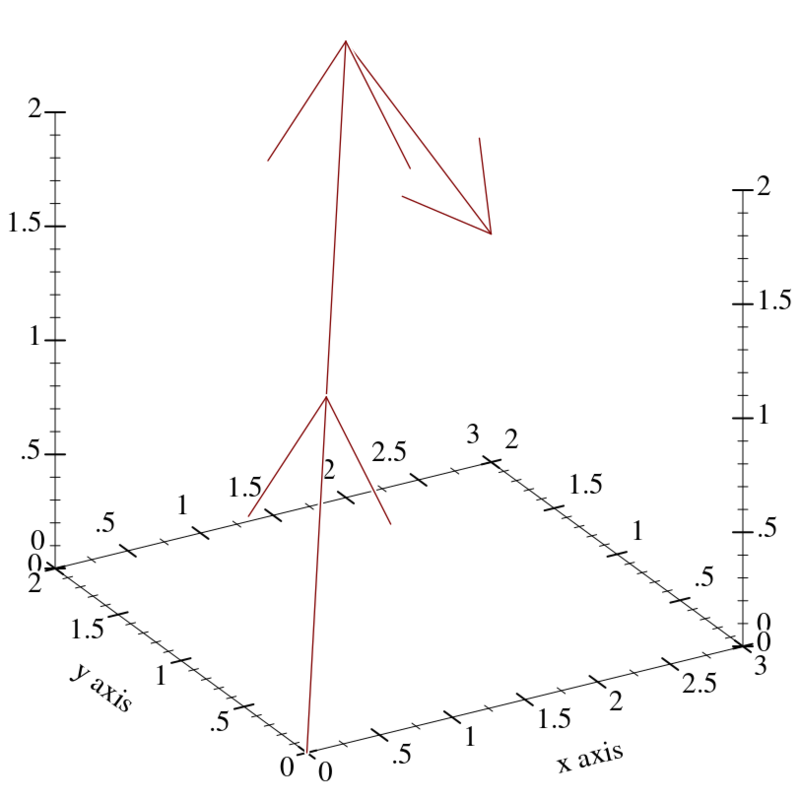 The parametric3d function is defined in terms of this one. 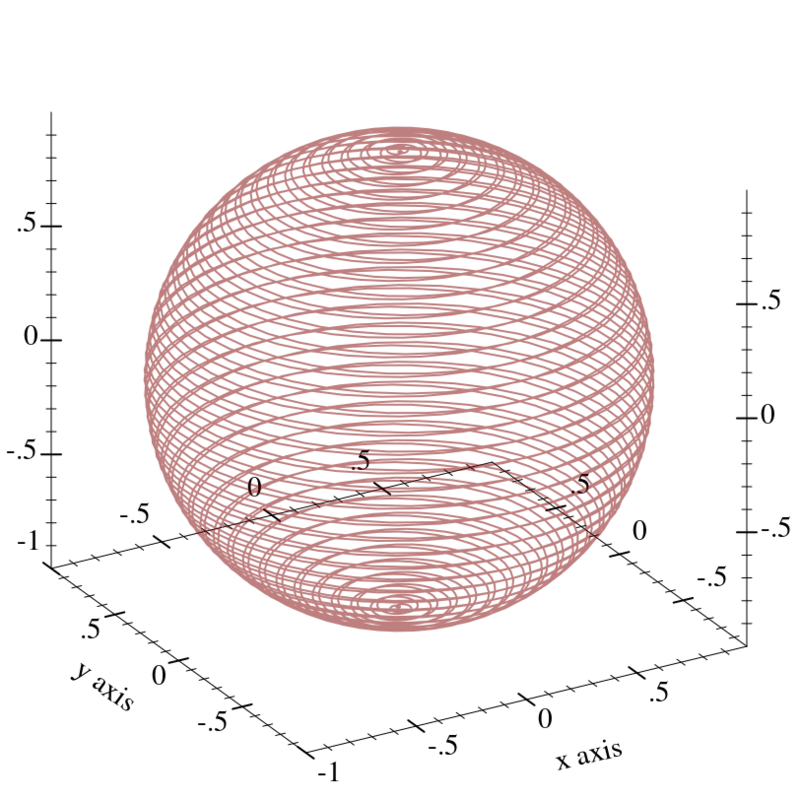 Returns a renderer that plots a function from latitude and longitude to radius. Currently, latitudes range from 0 to (* 2 pi), and longitudes from (* -1/2 pi) to (* 1/2 pi). 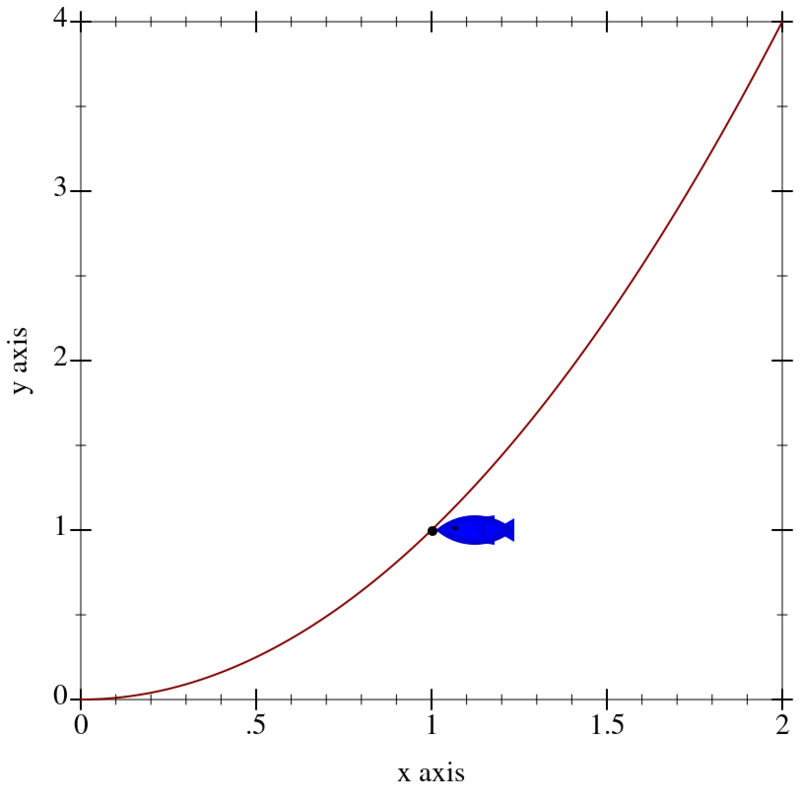 These intervals may become optional arguments to polar3d in the future. 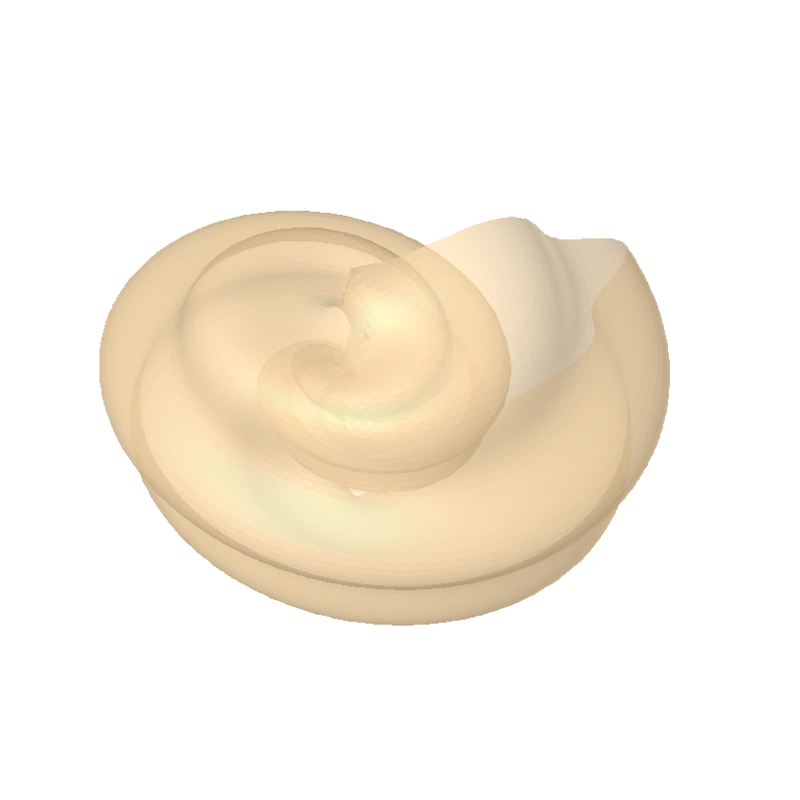 (plot3d (list (polar3d f1 #:color "navajowhite"
Returns a renderer that plots a single contour line on the surface of a function. The appearance keyword arguments are interpreted identically to the appearance keyword arguments to isoline. 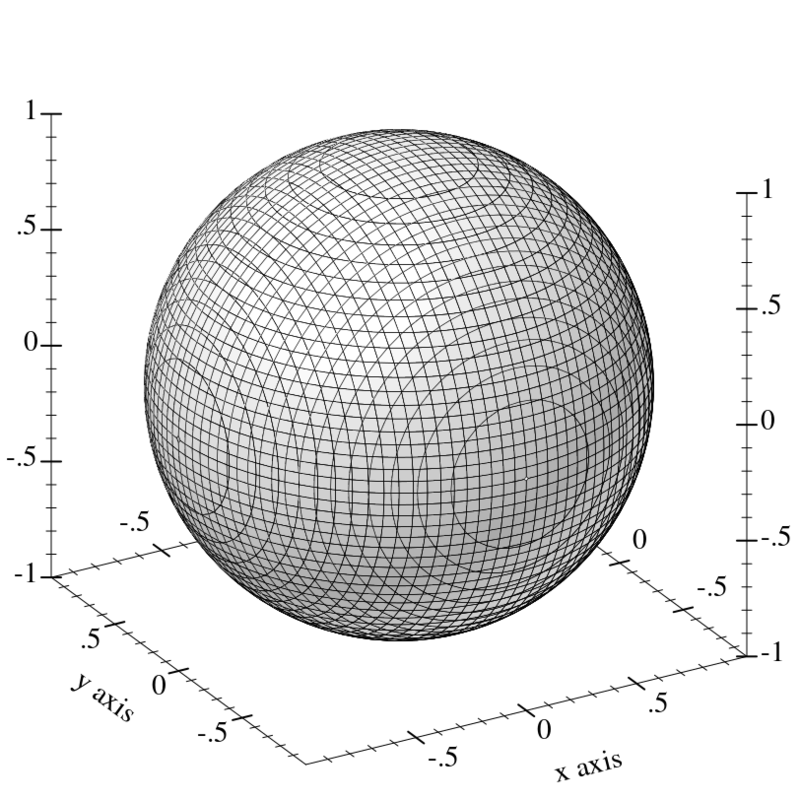 Returns a renderer that plots contour lines on the surface of a function. The appearance keyword arguments are interpreted identically to the appearance keyword arguments to contours. In particular, when levels is 'auto, contour values correspond precisely to z axis ticks. 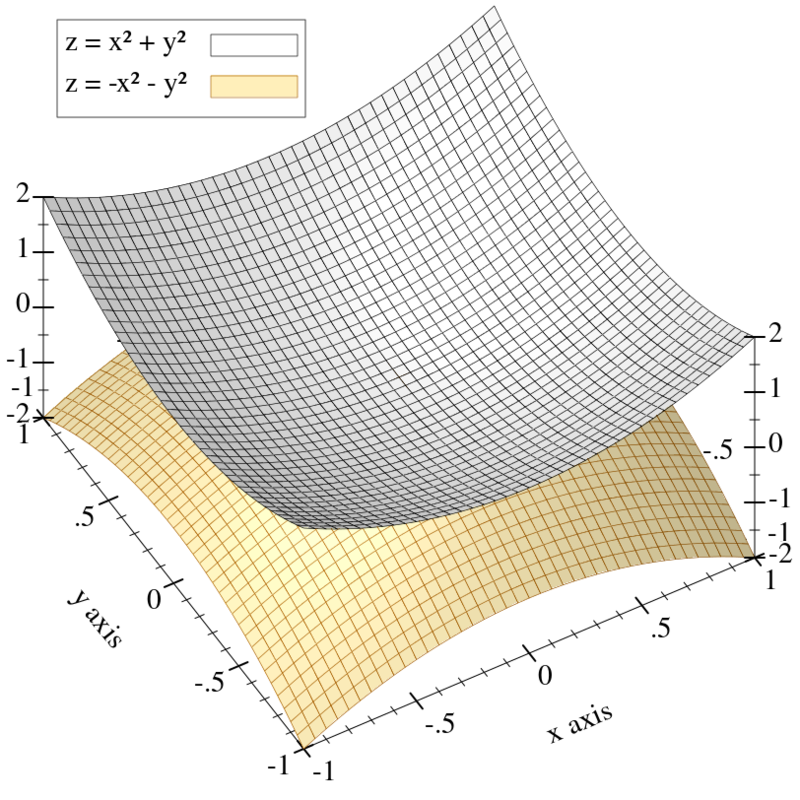 Returns a renderer that plots contour intervals and contour lines on the surface of a function. The appearance keyword arguments are interpreted identically to the appearance keyword arguments to contour-intervals. 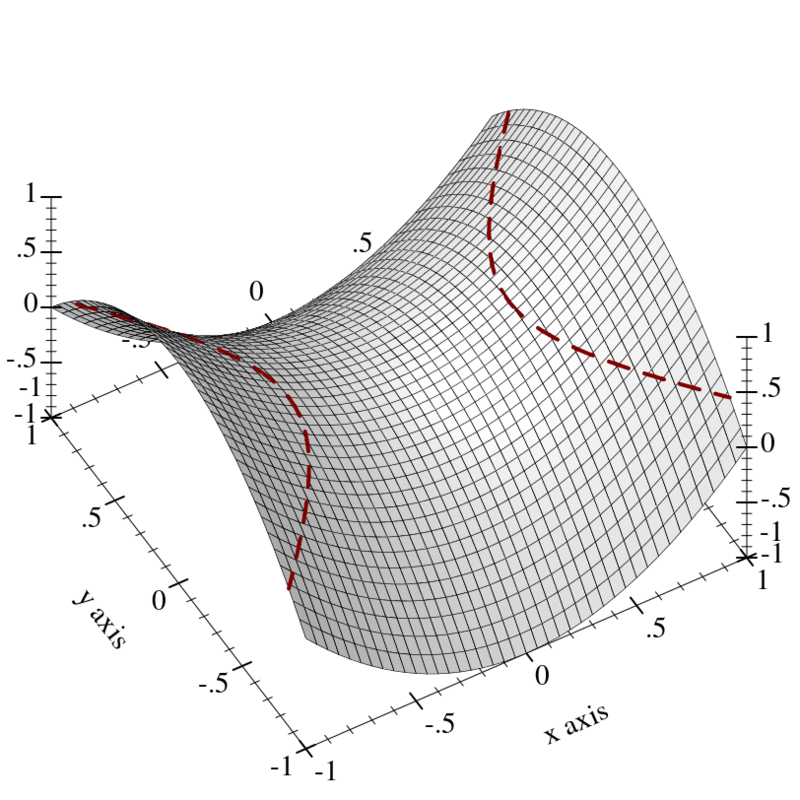 Returns a renderer that plots the surface of constant output value of the function f. The argument d is the constant value. Returns a renderer that plots multiple isosurfaces. The appearance keyword arguments are interpreted similarly to those of contours. If it helps, think of the output of f as a density or charge. Returns a renderer that draws rectangles. Returns a renderer that draws discrete histograms on a two-valued domain. Returns a renderer that draws a stacked histogram. Think of it as a version of discrete-histogram that allows multiple values to be specified for each pair of categories. Returns a renderer that draws a labeled point. If label is #f, the point is labeled with its position. Analogous to point-label.